The famous Manx maritime artist sailed aboard White Heather immediatly after leaving University. Below are a few of her works she was kind enought to give me at the time. 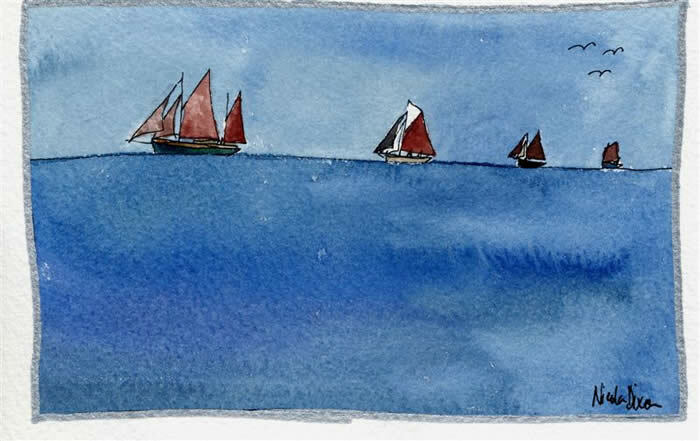 She has an excellent website where her story is told. 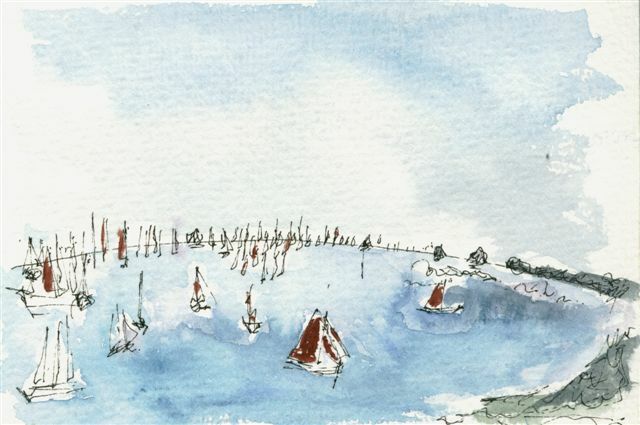 The painting above was created during the most memorable sail between Brest and Duarnenez, part of the Brest 92 regatta.